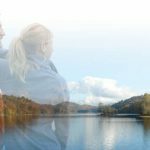 Become one with nature and immerse yourself in the wild and natural beauty of North Carolina’s Southern Outer Banks known as the Crystal Coast. It’s easy to fall in love with the beauty of the region from the sweeping vistas of the beach and sound to the romantic backdrop of colonial Beaufort, which has served as an inspiration and backdrop for the king of romance novellas- Nicholas Sparks, a native to the area. 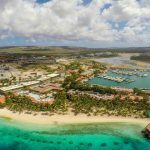 From fresh Cataret seafood with a Southern flair to breathtaking nature reserves where wild Spanish mustangs roam free to 85 miles of unspoiled beaches on the Emerald Coast to the West Indies Bahamian architecture of historical Beaufort, it’s all there waiting to be explored. The Crystal Coast is the ideal place to stay and located on a narrow inlet accessible by the bridges from Morehead City. 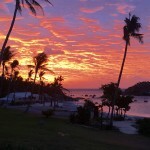 It’s one of the few places on Earth that you can see the sunrise over the sound and sunset over the beach. 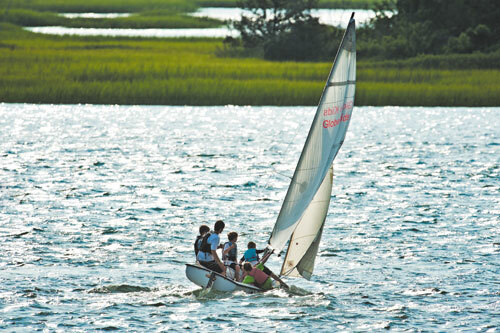 Being that the entire region is surrounded by water, aquatic activities take center stage in the lifestyle here. 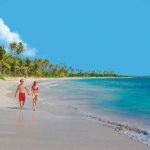 From deep sea fishing to stand up paddle boarding and kayaking in the marshland or just lazing about the beach life revolves around the soothing sounds of the ocean. The Emerald Isle on the Western half of the island of Bogue Banks offers a spectacular vista for sunsets over the beach. 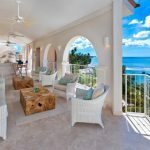 This family friendly southern beach village offers the largest selection of vacation rental homes ranging from quaint cottages to elegant beach side mansions- which are also lovingly referred to as “Sandcastles” by locals. 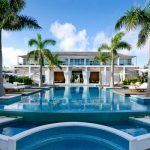 Emerald Isle Realty can help you find your dream vacation rental tailored to your individual needs. 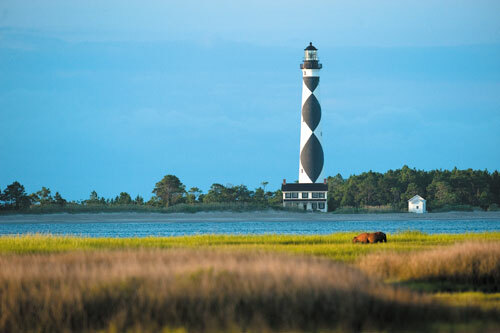 One of the main attractions is the Cape Lookout National Seashore. Comprised of a 56 mile strand of white sand beach that create the natural barrier island of Eastern North Carolina, it’s only accessible by ferries running from Harkers Island, Beaufort, and Morehead City. 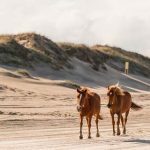 On your journey, admire the savage beauty of Shackleford Banks where wild Spanish Mustangs have run free for over 400 years when they swam to shore from shipwrecked Spanish ships exploring the New World and have adapted over time creating their own sustainable environment. When you reach Cape Lookout enjoy the quiet and calm white sand beaches and tour the island to the iconic Cape Lookout Lighthouse standing at 163 feet tall painted in a distinctive and graphic black and white diamond pattern for ships to easily determine North, East, South and West directions to warn ships of the treacherous waters of the area known as the “Graveyard of the Atlantic” which can be explored on dive excursions. To learn more about the aquatic life of the area, visit the Aquarium of Pine Knoll Shores to look at life underwater with local sharks, sea turtles, and local fish in larger than life tanks. Pet the stingrays in shallow water pools, and visit sea turtle nursery to learn more about their conservation efforts to save this endangered species. 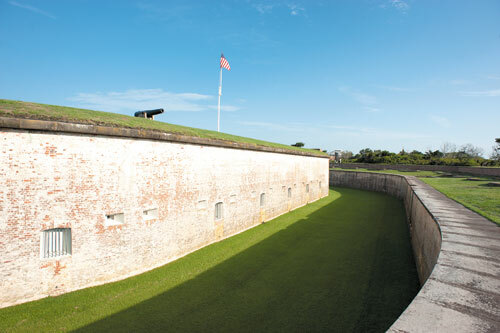 History buffs will appreciate Fort Macon State Park which played a significant role during the Civil War frequently changing hands between Union and Confederate forces. Open daily with free admission, history comes to life when Confederate soldiers reenact the battles of 1834 throughout the day and demonstrate the tedious task of firing a canon. It’s rumored that the barracks and kitchen are still haunted by souls who lost their lives defending the fort. The historic town of Beaufort was originally founded as a fishing village dating back to the 1700s with Colonial homes and buildings that have been painstakingly restored to its original splendor. The infamous pirate, Blackbeard had frequented these shores and left one of his sunken ships off the Beaufort inlet. Meander through the charming streets housing independent boutiques, antique shops, cafes, and galleries. 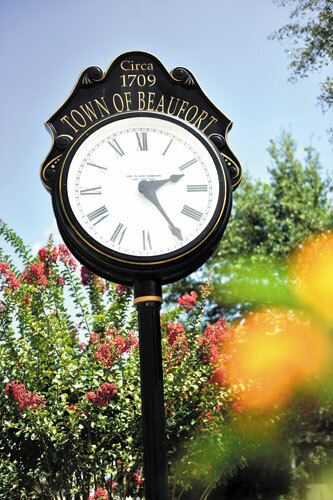 As cultural center of the region, Beaufort hosts numerous festivals throughout the year including Music Festival and the Beaufort Food & Wine Weekend that attracts celebrity culinary talent from all over the country. With its proximity to some of the best local seafood in the country foodies will delight in the vibrant culinary scene of the region. Though the name of one of the most popular restaurants in the area, Amos Mosquitoes originated from a knock knock joke, the food here is no joke, serving some of the best low country cuisine in the region. Located on a picturesque waterfront location, the theme resonates with the maritime characteristic of the town. Specialties like baked oysters with bacon spinach and parmesan or lump crab cakes with corn, littleneck clams scampi, shrimp and grits, or cheesy scalloped scallops are prime examples of unpretentious Southern home cooked fare that our taste buds crave. If you’re feeling adventurous, every week is open mike karaoke that attracts a wide range of talent. 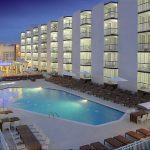 From pure relaxation on secluded beaches to an abundance of water activities and delectable fine dining in picturesque towns, once you visit the Crystal Coast it won’t be your last.